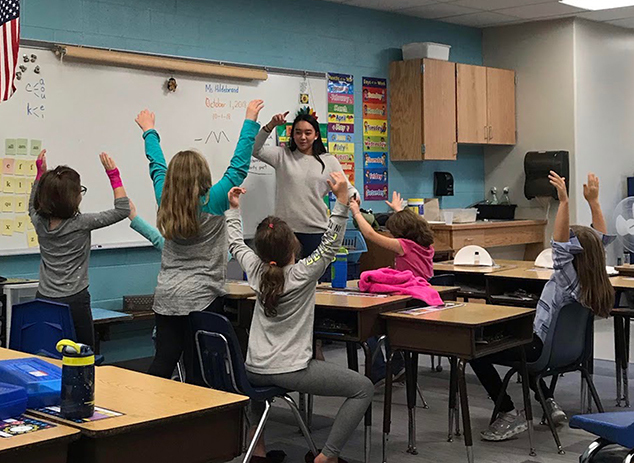 This fall, second graders could sign up to take a beginning Mandarin class taught by Proctor Academy senior, Lauren Ho. Despite the difficulty of learning to write and pronounce the language, they began to understand how it ‘works’ and could recite their own names! Lauren has been a wonderful presence at AE/MS for several trimesters. She is dedicated to both young children and their learning. We at AEMS are already sad that this is Lauren’s last year to share herself with our school community. We are grateful for her volunteerism and generous heart.